Welcome back friends!! Today I wanted to share with you the NEW Distress Oxide inks, and the experiences that I have had with them so far. Even though I have only had them for a day, I am already in love with these new inks, and the possibilities they hold! I won't go into a whole lot of detail on the cards or the process here on my blog, as I really tell you a lot of my thoughts and explain the process of the cards in the video tutorial below!! If you would like the short and sweet version though - in my opinion, these are a MUST HAVE! Easy and fun to play with, and the technique possibilities are endless!! I created the card above in the video, but I also created this card below yesterday while playing, and I entered this card into the latest SSS Flickr Challenge: Anything Goes! All the supplies used for all the cards in the video and shown here are listed/linked below! Hi My friends! 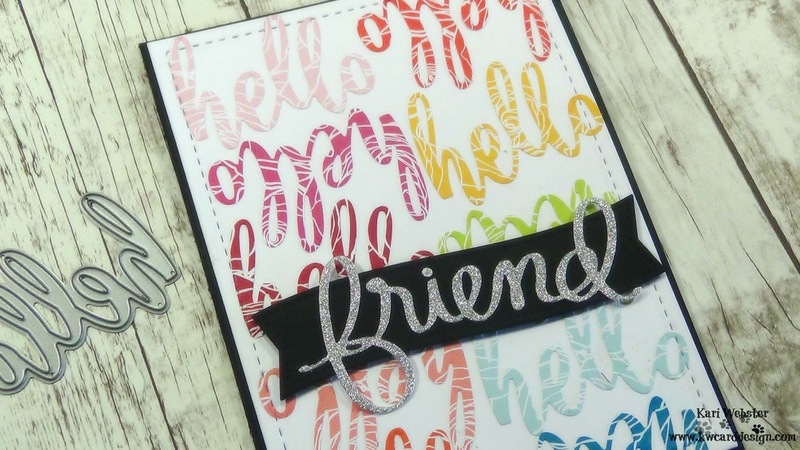 Today I am sharing a card featuring all die cuts and creating a background using the "Hello" die from My Favorite Things as well as their 6x6 paper pad called Roses All Over. I thought it would be fun and different to create a card using all die cuts as a background. And, I love this new 6x6 paper pad! 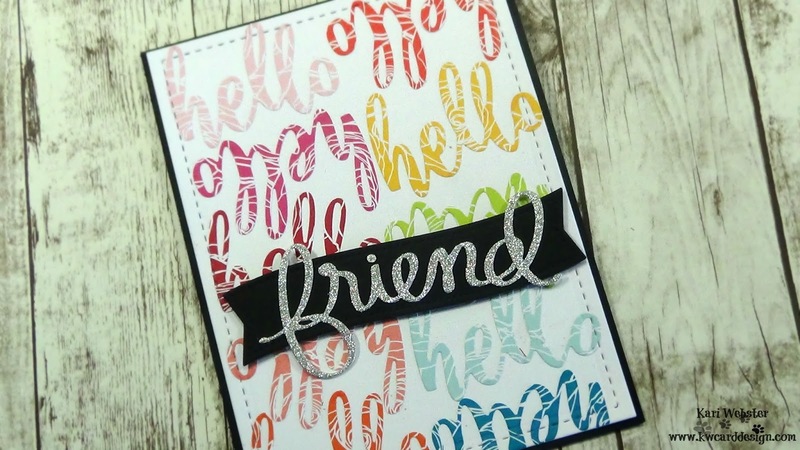 Who doesn't love a rainbow themed card?! I love anything rainbow...makes me happy. I started my die cutting a piece of smooth white card stock from one of my favorite dies from Right At Home, and I took several pieces of the Roses All Over paper and created 10 hello die cuts, 10 to be exact. I adhered them down with a glue pen and rotated each one for a fun pattern! Once I had them all adhered, I took the same frame die from RAH, and ran my focal panel through my die cut machine to complete the stitched edge and to also help flatten all the die cuts to my white card stock piece. 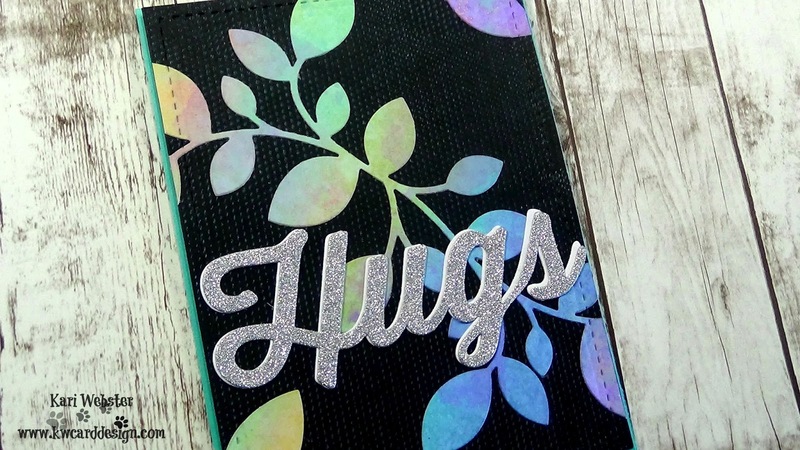 For my additional sentiment, I die cut a piece of silver sparkle card stock using the Friend Script die from Mama Elephant, and adhered it to a black pierced dot detail banner die cut, and popped it up with some foam adhesive to some dimension. For all the supplies used, I have them listed below as well as the video tutorial! Thank you all for stopping by today!! See you soon! 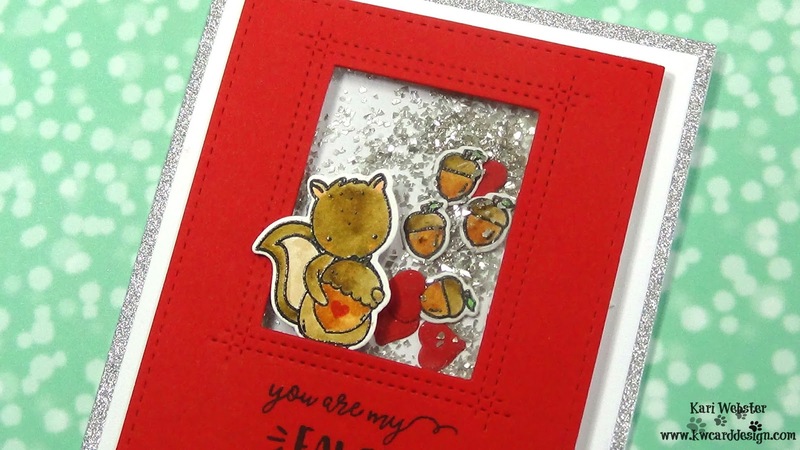 Today I wanted to share with you this shaker card featuring Neat and Tangled's stamp set Favorite Little Nut. This is an adorable set and perfect for Valentine's Day. You could also use this set all year long too!! I love these illustrations by Elena Roussakis! 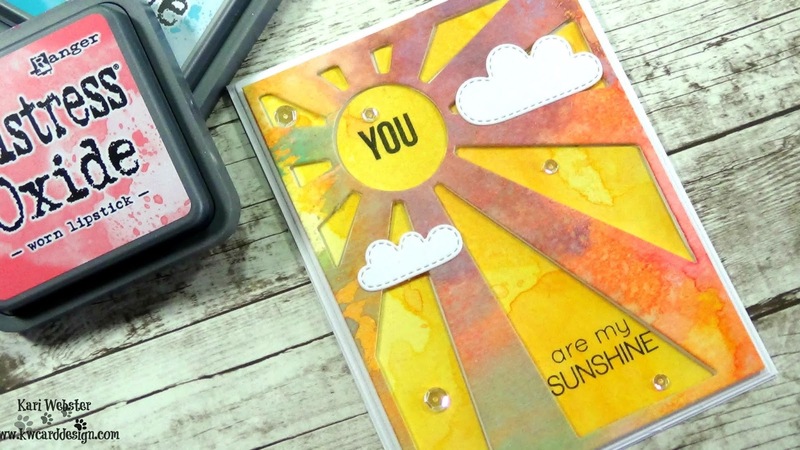 She's got such a fun and sweet style to her images and love the fonts also that she creates with her sentiments! For my squirrel I decided to color with my Zig Clean Color Real Brush Markers. These are great to achieve a fast water color look to your images! I also stamped several times one of the acorn images, and created my own shaker bits to add inside the window, along with some die cut hearts. 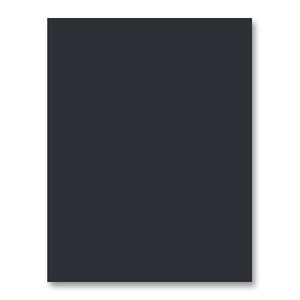 My red panel is a piece of Pure Poppy card stock from PaperTrey Ink. This red is one of my favorites! I die cut my card stock with a stitched rectangle die from Mama Elephant and created my window using MFT's Peek a boo window die. I added two layers of foam adhesive to ensure my shaker elements would move around well. Before putting together my shaker card, on the front of the focal panel, I stamped my sentiment from the same Neat and Tangled set, You Are My Favorite! Once I was happy with how that stamped, I put my shaker card all together. I wanted to add a bit more silver into my card to tie in my shaker bits, so I die cut a piece of MFT silver sparkle card stock with one of my Hero Arts Infinity Dies. Love this set!! So handy to have! 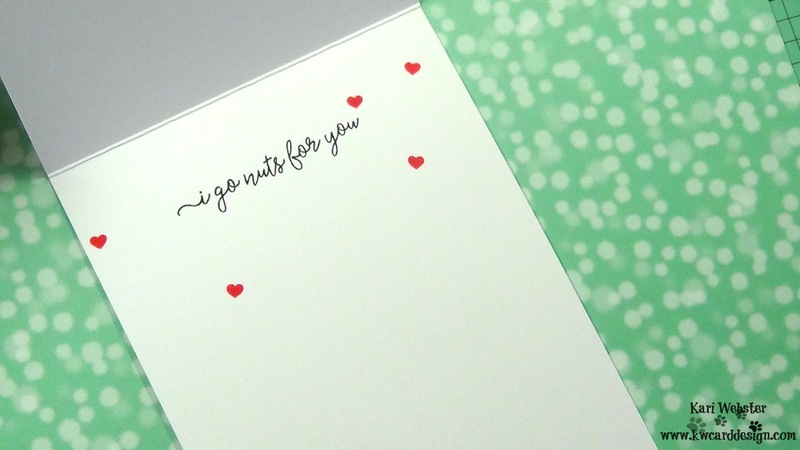 For the inside, I stamped another sentiment from the same set, I am nuts for you, which I felt appropriate for my shaker theme. Thank you all for stopping by today, and I hope you have a wonderful Valentine's Day with your loved ones and friends!